…and for version 1.0, my automatic controlled car with an ultrasonic sensor in front! Components used are a ping sensor (ultrasonic) mounted on a servo, a solar panel (that powe on arduino chipset), 4 motors and a lot of wires! 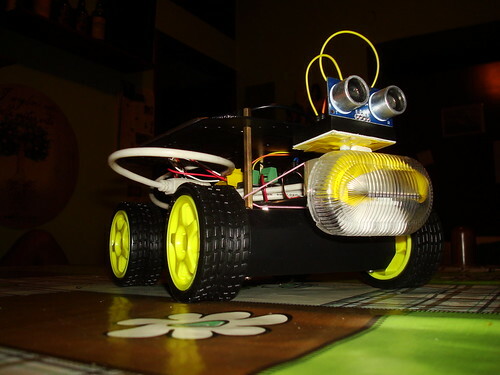 Robo-Car v0.1, originally uploaded by Alberto Pasca.